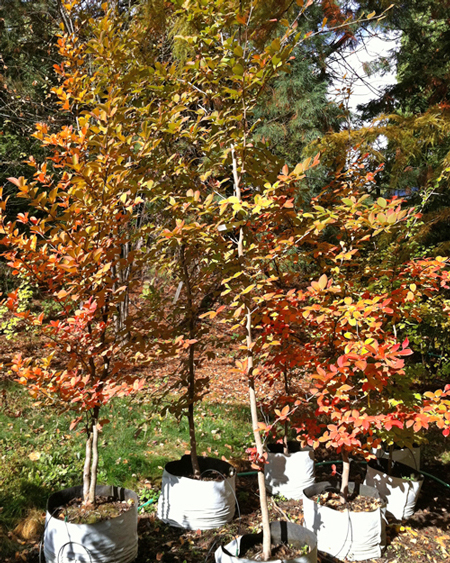 Eventually a large tree, but slow-growing, Stewartia is a refined and elegant choice for a prominent site. Fall color-orange, yellow, red-adds to its year round appeal. Grows best in moist, humus-rich, acidic, and fertile soil. Can tolerate full sun or light shade, and should be protected from strong winds.